For the first couple of weeks since the grounding of Eagle's Beech 1900 fleet the Air NZ weebiste showed on the arrivals/departures page a lot of "Flight Cancelled" notices. It is not so easy to see the cancellations now as the services are deleted off the schedule. One wonders what will happen to Wanaka and Masterton... Masterton didn't get an overnight service last night, though there is one tonight, and theere is no flight to Wanaka today. Both centres have just a single flight a day and if they are run down people lose confidence and the loadings drop. Playing around with the schedule was the prelude to Oamaru being dropped! Air New Zealand celebrated three decades of flying between New Zealand and London via Los Angeles on Saturday 25 August. During that time, the airline has made 7,700 return trips from Auckland to London via Los Angeles, flying nearly 300 million kilometres - the equivalent of a trip to the sun and back! Over the past 30 years the airline has carried more than 9.2 million passengers on its core NZ1/2 services between Auckland-Los Angeles and Los Angeles-London, including thousands of actors, sporting personalities and rock stars; a dozen princesses and princes and one British Monarch. Queen Elizabeth II took her first commercial flight on NZ1 accompanied by 28 members of the Royal Household and 384 fare-paying passengers. On August 25 1982, when Air New Zealand sent a Boeing 747-200 to London for the first time, the aircraft was known as the “Ritz of the Skies” because of its luxurious superior silver service. Fast forward to 2012 and Air New Zealand’s fleet is one of the newest on the route with state-of-the-art seating from the innovative custom-designed Spaceseat to the world’s only lie-flat Economy option, the Skycouch. Air New Zealand Deputy CEO Norm Thompson says the route has been historically significant in connecting New Zealand passengers to London and onwards to Europe, via Los Angeles. "While product design has advanced, our genuine Kiwi service continues to set us apart,” he says. "In 1982 British magazine Executive Travel named Air New Zealand Best Carrier to the Pacific. In 2012 we were named Airline of the Year by Air Transport World, no small feat for an airline from a corner of the South Pacific." Mr Thompson says the airline is proud to offer a uniquely Kiwi experience to its customers throughout their journey. "Our in-flight menus and wine lists have always featured the best New Zealand has to offer. Pheasant Souvaroff and chateau potatoes were offered onboard the inaugural flight. Our August 2012 menu offers contemporary choices such as lamb prepared two ways - seared loin and braised lamb shank with pancetta fried potatoes. Our award-winning New Zealand wine list, carefully selected by our panel of wine consultants, also improves with age." Air New Zealand is running a number of promotional initiatives in the US and UK markets to mark the occasion. Need a little diversion to start the week??? 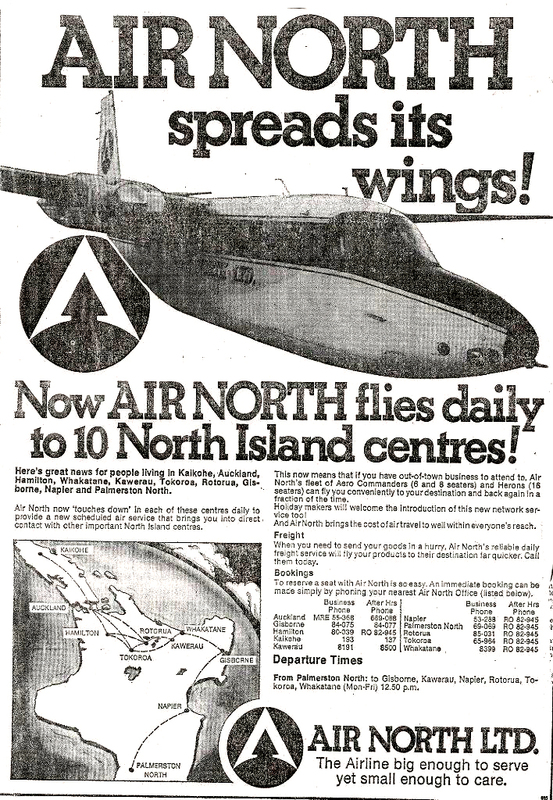 Nationwide Air had two distinct parts to its history, the airline operation that arose from the takeover of North Island operators Air North and Akarana Air, which provided the licences for the company to morph, through a legal loophole into the short lived Haulaways Corporation car ferry operation. In September 1977, Haulaways Corporation Ltd. lodged an application with the Air Services Licensing Authority as trustees for a company to be formed for air charter and air taxi services from Paraparaumu, Christchurch, Nelson and Wellington using two Carvair aircraft. 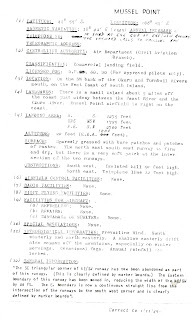 The hearing was subsequently adjourned so the applicant could ascertain whether the objectors to the proposal, NAC, Mount Cook Airlines, Safe Air, the New Zealand Shipping Corporation, the Railways Department, and the Union Steam Ship Company, could undertake the carriage of cars for Haulaways Corporation. 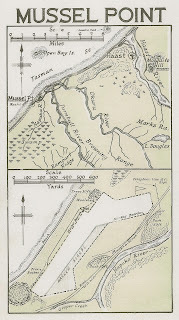 The application was withdrawn and when no objector was able to provide a satisfactory service Haulaways Corporation entered into negotiations with Air North and Akarana Air into those two operators offering a service and with a view to Haulaways taking over the shareholding of both companies. This happened in January 1978. In January 1978 Air North’s John Rutherford wrote to the Licensing Authority advising them that they intended to replace the 10-seat Grand Commander 680 on their licence with an ATL98 Carvair with seating for 10 passengers and to replace the 16-seat de Havilland Heron, with a General Dynamics Convair 340 with seating for 16 passengers. At the same time Akarana Air wrote to the Authority advising them that they too intended to replace the 10-seat Grand Commander 680 in their licence with an ATL98 Carvair with seating for 10 passengers and to replace the 15-seat Beech 99 on their licence with a General Dynamics Convair 340 with seating for 16 passengers. John Rutherford told the Authority that “in the present economic climate where scheduled passenger traffic is moribund a freight supplement is essential to keep an appropriate cash flow. Further freight activities are clearly in the public interest in view of the withdrawal of coastal shipping services and increasing rail costs particularly in areas not directly served by NAC.” He further stated that a financial reconstruction of the company involving in excess of $2 million was underway and that “the new aircraft will be put into service as soon as all appropriate operations, airworthiness and type documentation is completed.” The replacement aircraft notified by Air North and Akarana Air were ordered and the company advised the Licensing Authority it was committed to the contracts which were firm orders. The Licensing Authority, however, decided that the notice given by Air North Limited and Akarana Air Limited, if valid, would permit a practice which would enable the licensees to increase freight capacity without establishing necessity or desirability for the increase to the likely detriment of other licensed operators and it is in the public interest that the replacement aircraft should be substantially the same maximum payload capacity as the replaced machine. This, the Authority said, would prevent a substitution of an aircraft which has "equivalent seating capacity", but a cargo capacity considerably greater than the machine being replaced. An appeal was made to the High Court who ultimately confirmed the decision of the Licensing Authority that the notice given by Air North was not effective to bring about a replacement of its two light aircraft with two heavy aircraft. In 1978 Air North was having increasing financial and operational difficulties with many complaints being made about the company’s service. 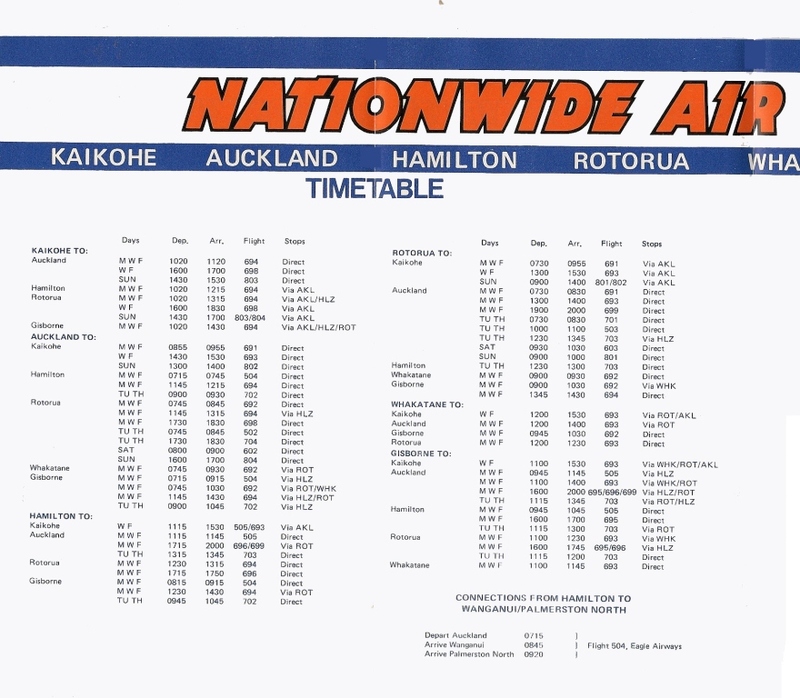 On the 19th of June 1978 Air North changed its name to Nationwide Air Limited reflecting its association with the Nationwide Transport Ltd group of companies that specialised in the freight and air forwarding business. The licence remained under the Air North name but a Nationwide Air timetable was issued and advertising carried the new name. De Havilland Heron ZK-EKO was repainted in Nationwide Air colours, this being the only aircraft operated by Air North that was repainted. Newly painted in Nationwide Air colours, Heron ZK-EKO at Ardmore on 30 July 1978. 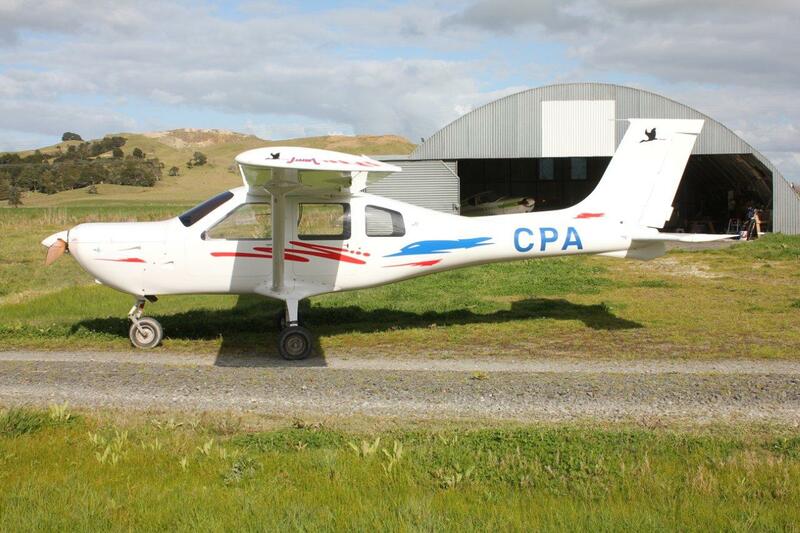 In 1978 two Aviation Traders Ltd ATL-98 Carvairs were bought for $850,000 (including spares). The Carvair was a conversion of the Douglas DC-4 developed by Freddie Laker's Aviation Traders (Engineering) Limited and used specifically for a car ferry. 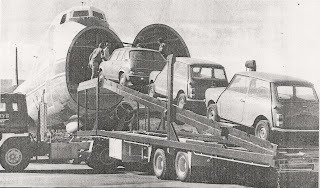 The Carvair was able to carry up to seven cars as against the two-car load of Safe Air’s Bristol Freighters. The purchase involved Credit Finance Corporation, Kuwait International Finance and the Bank of Credit and Commerce International of Luxem­burg. The aircraft were refurbished in Singapore before the first, ZK-NWA (c/n 42994/ATL.98/20), arrived in New Zealand on the 17th of September 1978. The second Carvair, ZK-NWB (c/n 27314/ATL.98/21), arrived on the 28th of November 1978. It was reported at the time that a Convair 440 that was to be used for freight runs to Auckland, Rotorua and Gisborne had been purchased but this never made it to New Zealand shores. My only picture of a Nationwide Air Carvair - taken on my new second-hand Praktica camera - still at school and saving for a 135 mm lens! Photo taken at Christchurch in January 1979. Despite the arrival of the first Carvair the launch of the car ferry service remained under a cloud. 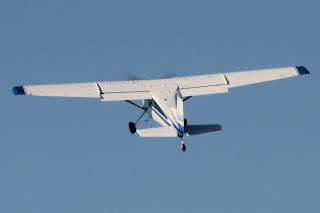 The Air Services Licensing Authority had deemed Nationwide’s tactic of changing the aircraft type on its licence illegal. 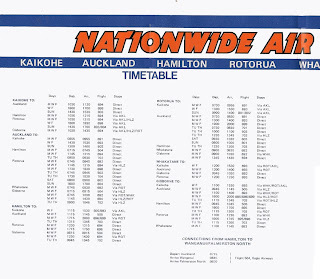 Nationwide Air contested this move by appealing to the Supreme Court and in this interim time the car ferry service got airborne in a time which was, ironically, while the central North Island airline division of Nationwide Air was grounded. The Railways department also filed an injunction against the airline in the Supreme Court claiming the service was materially injuring the Railways. 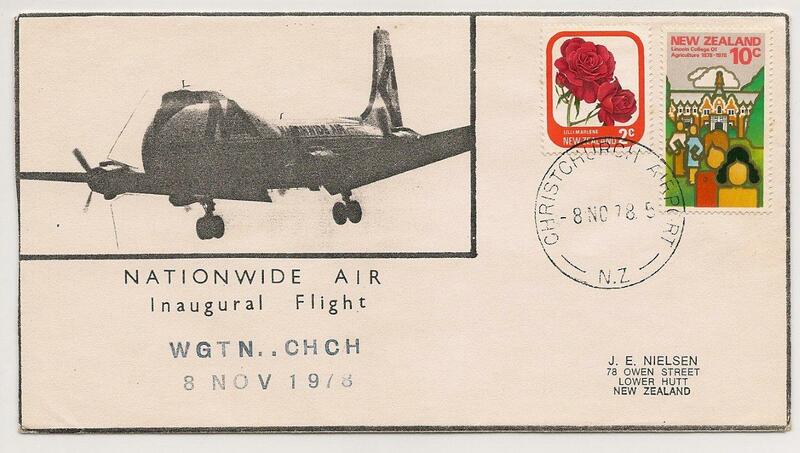 The first flight was from Wellington to Christchurch on the 8th of November 1978 and was flown by Carvair ZK-NWA. 12 vehicles were flown to Christchurch on two flights for the New Zealand Motor Corporation. By the end of the first week the company had built up to three flights a day between Wellington and Christchurch and on the 14th of November 1978 the company flew its first service into Nelson from Wellington. It carried four cars and general freight inwards and left with six cars and freight. The Nelson service operated on Tuesdays, Thursdays and Saturdays but the company's managing-director, Mr Matthew Thompson, told the Nelson Evening Mail that “it should shortly be a daily service.” Cars were also flown to Blenheim, though often there was little return freight from there. 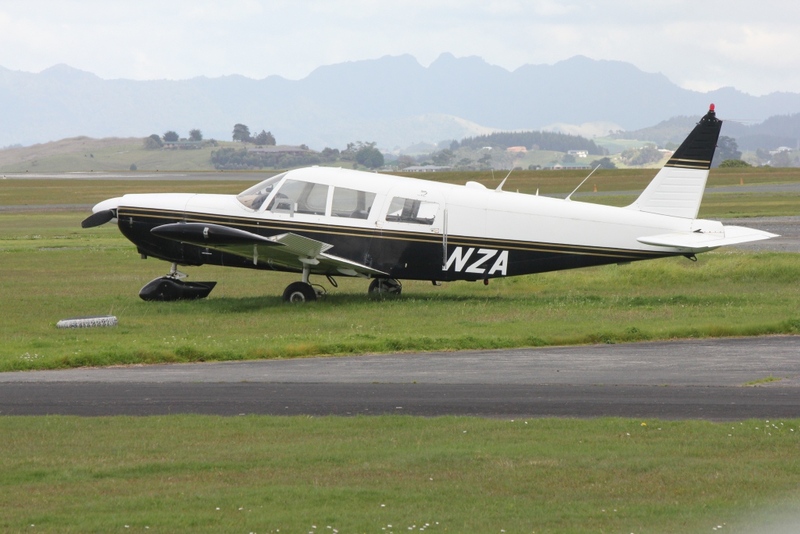 The airline division’s financial difficulties worsened when it fell into arrears in its lease payments to Rotorua Airlines (1977) Ltd, Ian Palmer’s company that leased Nationwide Air a Heron and Aero Commander 500, so Palmer repossessed both aircraft. Meanwhile the airline was losing its battle to stay airborne. 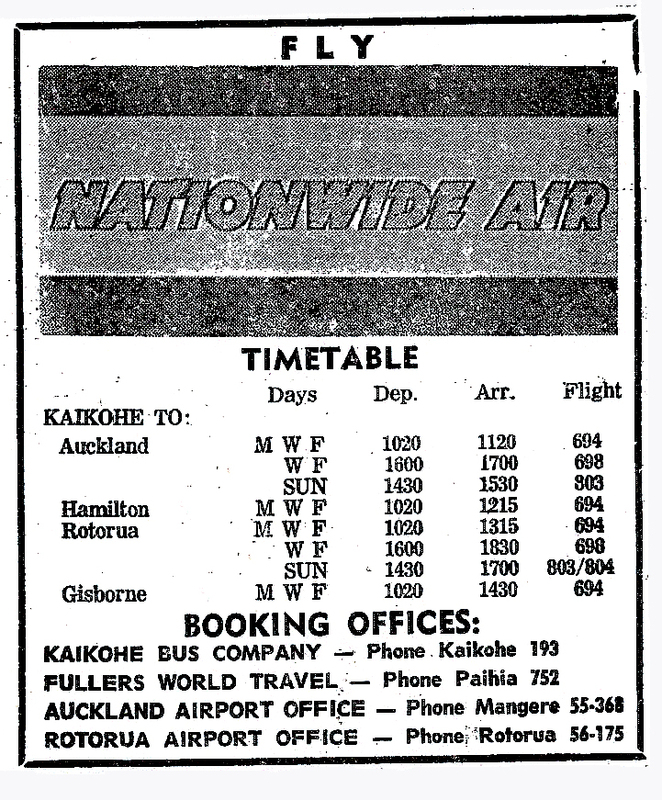 On the 17th of October 1978 a member of Nationwide Air's Auckland staff verbally informed the Licensing Authority that the company was not operating any scheduled services. This suspension of the airlines services lasted some six weeks. The airline resumed operations in late November with a reduced, on-demand service. There were also financial troubles with Haulaways Corporation, Nationwide Air’s parent company, which was placed into receivership on the 29th of November. The local media were told by the Bank of Credit and Commerce International’s representative, Mr K. E. Mirza, that “The group is not being put into liquidation, the move is being made to protect all creditors.” The three financiers had lent Haulaways $2.8 million under two debentures. Mr Mirza expressed his confidence that the company could trade out of its difficulties. Within a matter of days, however, a petition to wind up Nationwide Air was presented to the Supreme Court by Eagle Airways. The petition was supported by Truck Maintenance and Services Ltd, of Wanganui, Bob Jones and Co and the district commissioner of Inland Revenue. This happened on the 6th of December 1978 but the winding-up petition was adjourned for a week so creditors could be given details of a proposed settlement scheme. It seems, however, that the airline division ceased flying about this time and Nationwide Air’s routes passed to other operators. The Auckland Aero Club took over the Auckland-Kaikohe service, Mount Cook Airlines was granted the right to operate an Islander between Auckland and Rotorua, Air Central was granted the right to add Rotorua to its existing Gisborne-Hamilton route, Bell Air Executive Travel Limited picked up a Whakatane–Auckland service and Eagle Aviation the rights to operate a Hamilton-Auckland service. The other piece in the airline puzzle was Akarana Air Ltd. In October 1978 it changed its name to become Nationwide Air Akarana Limited though Akarana Air continued to operate under its own name. The new company was one of Nationwide Air’s creditors to the tune of some $116,000. This placed it under financial stress and it was placed in receivership itself on the 13th of March 1979. 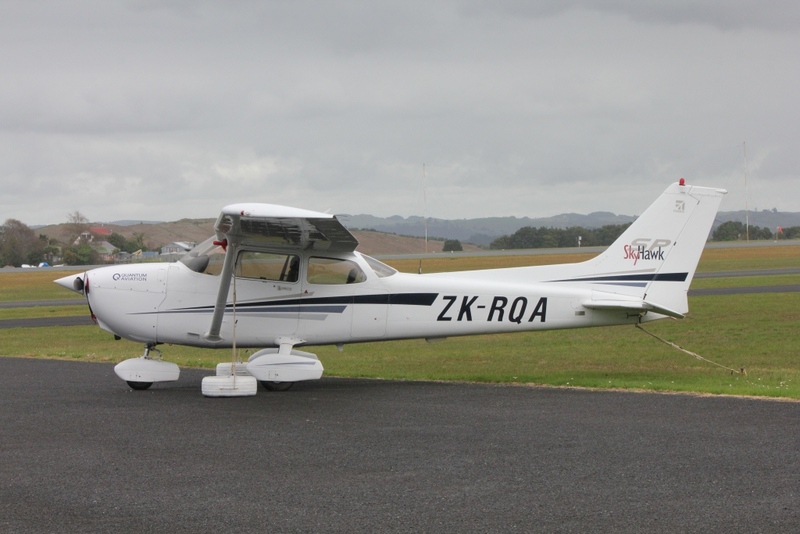 Some reorganisation enabled it to continue to operate its Auckland-Wairoa air service for some weeks. 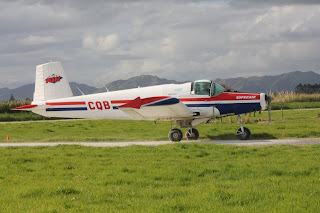 Wairoa-based Cookson Air took over the service to Auckland on the 4th of May 1979 and Nationwide Air Akarana Ltd was wound up on the 9th of May 1979. The car ferry, however, became airborne again on the 14th of December after a $150,000 cash injection. A new company Nationwide Air International was incorporated on the 18th of December 1978. This company was backed by six businessmen including Nationwide's Air managing director, Mr Matt Thompson, and a director, Mr John Rutherford, of Christchurch. The new company enabled the car ferry operation to continue. It chartered both Carvairs from the Bank of Credit and Commerce International which had put Nationwide Air’s parent company, Haulaways Corporation, into voluntary receivership. With Nationwide’s financial uncertainty fuel companies insisted that fuel had to be paid for on uplift. Despite the cash injection the car ferry struggled and it finally ceased operating in the last week of April 1979 having lost some $200,000 on its four and a half month car ferry operation. Simon Gunson, a Nationwide Air employee, recounts, "The problems for the car ferry began when ZK-NWB lost a con rod on the No.1 engine smashing the crank case flying to Christchurch. The only spare engine held at Wellington had seized-up. An effort to procure a replacement engine from Papua New Guinea also fell through when the company's manager suffered a heart attack in Port Moresby. This effectively meant that from May to July the airline was only flying with one aircraft and could not satisfy it's customers, nor keep up with debts. I believe some contracts were lost when we were reduced to one aircraft." Nationwide Air International flew their last flight on the 16th of July 1979 with ZK-NWA. Carvair ZK-NWA was flown to Nelson by the end of July 1979 and was parked up in Nelson, with ZK-NWB arriving in Nelson in September 1979. Various attempts to restart the service were to no avail. Carvairs in storage... ZK-NWA (above) and ZK-NWB (below) at Nelson on 3 December 1979. 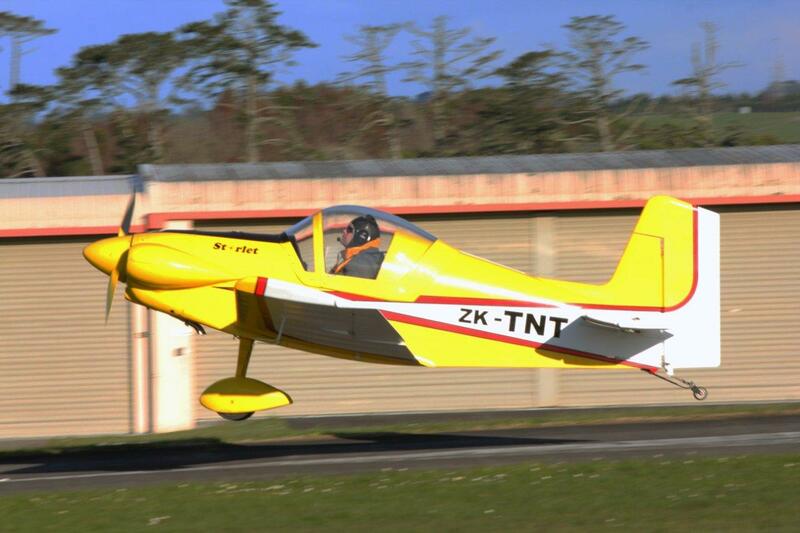 Kiwi Air's PAC 750XL ZK-XLE was enjoyed the sunshine. Photo taken at Ardmore on 23 August 2012 by Anon. QANTAS' trans-Tasman flying business Jetconnect is losing money - even though it has a similar cost-base to major rival Air New Zealand - because of tough competition on the short-haul route between Australia and New Zealand. The disclosure of the New Zealand subsidiary's financial health comes as Qantas is set to post on Thursday its first annual loss - expected to top $200 million - since it was fully privatised in 1995. The airline's biggest losses are on long-haul routes to Europe rather than short-haul flights. Qantas does not disclose the performance of Jetconnect in its accounts. But during a recent hearing before the industrial umpire, Qantas' then head of commercial operations, Rob Gurney, revealed the Qantas subsidiary was ''incurring losses because of the fundamental dynamics of the market, and even though it has a cost structure comparable with Air New Zealand … it is losing money''. The subsidiary pays its pilots and cabin crew ''New Zealand rates of pay'', which are substantially lower than those for their Australian-based counterparts. ''The commercial dynamics of these markets are such that these are loss-making enterprises, even given the cost structures that are in place today,'' Mr Gurney told Fair Work commissioners in June. Qantas executives and pilot union leaders have been appearing before the workplace umpire at various stages over the past three months. It is the final of three industrial disputes, which culminated in the dramatic grounding of Qantas' entire fleet last October, to be settled. Qantas has argued that its higher labour costs put it at a big disadvantage to other airlines. But lawyers for the pilots' union told Fair Work it was a ''long bow'' to blame pilot salaries for Jetconnect's performance when they were less than their counterparts at Air New Zealand. Air New Zealand's highest-paid captains receive about $200,000, while a Jetconnect captain is on almost $140,000 a year. Jetconnect operates 90 per cent of Qantas flights between Australia and New Zealand, employing about 600 staff, mostly cabin crew and pilots. It has a fleet of eight new Boeing 737-800 aircraft painted in Qantas livery. Last week, Virgin Australia also announced it will stop services between Brisbane and Hamilton, New Zealand, in October, leaving its alliance partner Air New Zealand to do the bulk of the pair's trans-Tasman flying. Airlines have long viewed Hamilton as a marginal destination in terms of profitability. Analysts doubt Qantas will give an update on talks with Emirates about forming a code-share deal when it releases its annual result on Thursday, but they have speculated that it could announce further route cuts. Qantas' annual net loss is expected to top more than $200 million for the year to June. Stripping out $100 million in costs from the industrial dispute last year, the pre-tax losses from the company's premium international division are set to balloon from $216 million in 2011-12 to about $350 million. The New Zealand National Airways Corporation took over Air Travel (NZ) Ltd’s services from Hokitika north to Westport and Nelson and to South Westland on the 1st of October 1947. 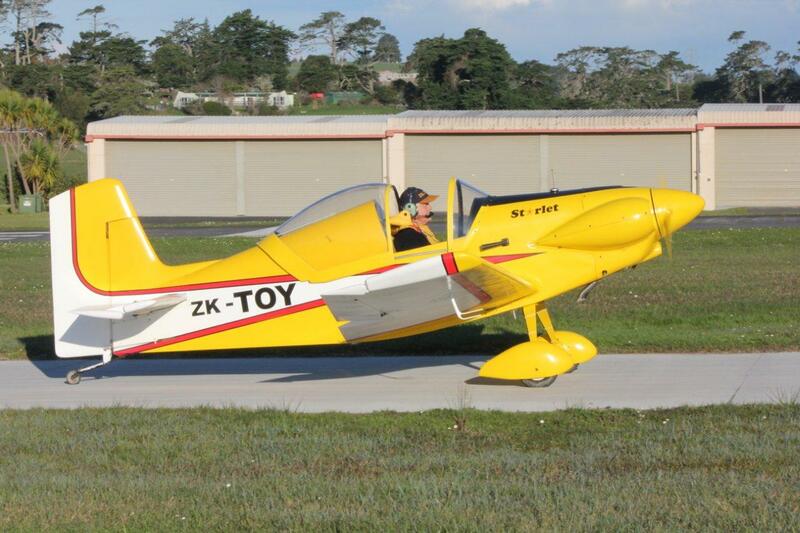 NAC's South Westland service had a Monday to Saturday service being flown by Fox Moth aircraft from Hokitika to Haast and Okuru calling at Wataroa (now spelt Whataroa), Waiho (Franz Josef) and Weheka (Fox Glacier) as required. 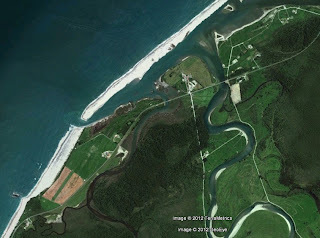 Okuru is some 14 km south west of Haast airfield and the NAC service to Okuru's Mussel Point airstrip was an extension of Haast service that carried mail, supplies and passengers for and from Okuru, Upper Okuru and Jacksons Bay. The first NAC flight to Okuru was flown by Commander Frank Molloy in de Havilland 83 Fox Moth ZK-AGM, Matuhi (c/n ) on the 1st of October 1947. 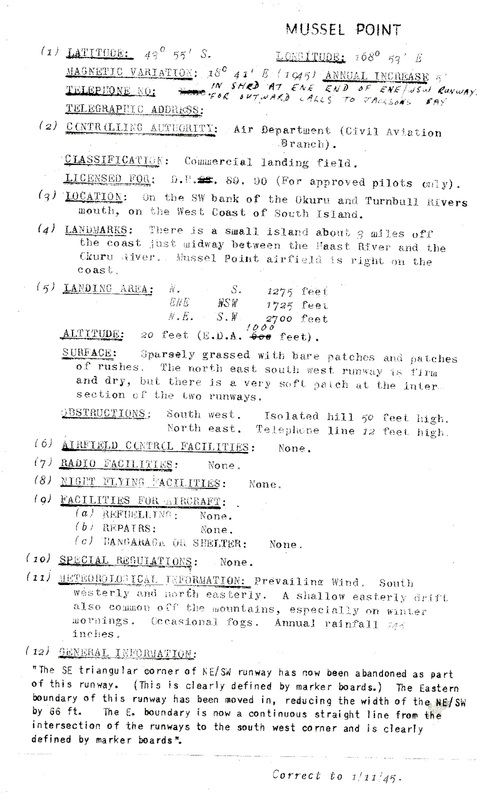 NAC wanted to replace the Fox Moths with De Havilland 89 Dragon Rapide or Dominie aircraft on the South Westland service and it did so on the 1st of June 1948. The DH89s were not licenced to use Okuru and so it was dropped from the network, the last flight to Okuru having been flown again by Commander Frank Molloy in De Havilland 83 Fox Moth ZK-AEK, Mohua (c/n ) on the 28th of May 1948. 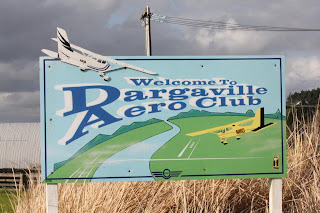 This was not the end of the Okuru service, however as from the 9th of August 1948 Hokitika’s Southside Airport lost the licence allowing De Havilland Dragon Rapides and Dominies to use it. Fox Moths were again put on the service and Okuru regained its air service, as did Greymouth which had lost its air service when NAC took over from Air Travel (NZ). 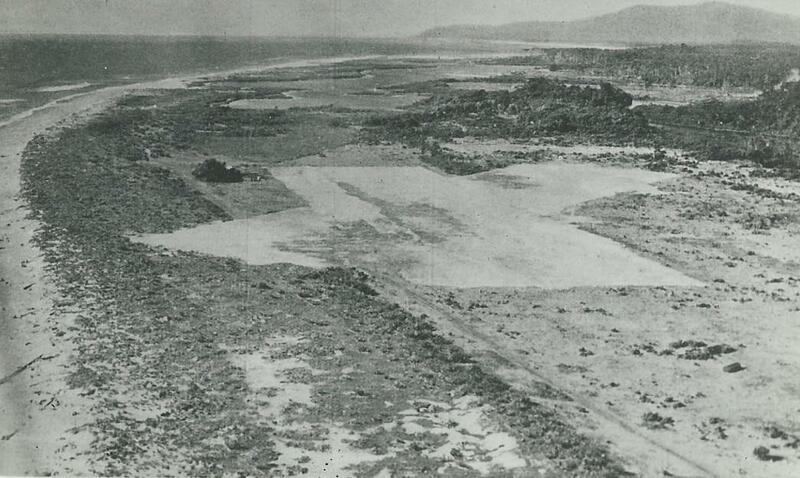 The reinstated air service to Okuru did not last long, however, and ceased to be mentioned in the NAC timetable in 1950. 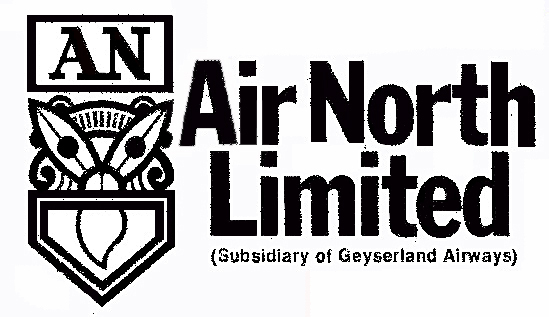 On the 30th of May 1972, the Air Services Licensing Authority approved the scheduled operations of Geyserland Airways Ltd being passed to a new subsidiary company, Air North Limited. This was a limited liability company formed by two shareholders, Ian Palmer and Selwyn Goldsworthy. The initial capital of the company was $10,000 of which Palmer held 9000 shares and Goldsworthy 1000 shares. Both men also held the shares of Geyserland Airways Ltd in similar proportion. At this time the company was operating two routes, Rotorua to Auckland and Kaikohe with a minimum frequency of six return flights each week, with the right to set down or pick up passengers, as needed, at Kawerau and Matamata and from Rotorua to Gisborne with a minimum frequency of six return flights each week with the right to set down or pick up passengers at Kawerau if traffic was offering. Air North was initially licensed to operate one Aero Commander 500, ZK-CWP (c/n 500-842-97), and one Aero Commander 680FL Grand Commander ZK-DBQ (c/n 680FL-1330-15). Geyserland Airways continued to operate one Grand Commander on charter work and this aircraft, ZK-DHF (c/n 680FL-1429-71), was also used as a backup aircraft for Air North. In July 1974 Air North and Geyserland Airways applied to the Air Services Licensing Authority to further divide the Geyserland Airways and Air North. Geyserland Airways took over all the single-engined aircraft services while all the twin engined charter, air taxi and scheduled work passed to Air North. This enabled Air North to operate air charter and air taxi services from Rotorua, Galatea Kawerau, Whakatane, Matamata, Taupo and Turangi with an authorised fleet of one Aero Commander 500 and one Grand Commander 680. 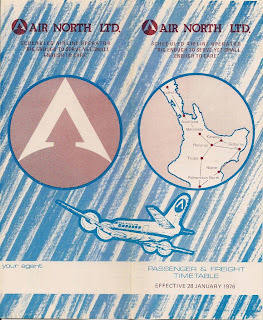 Later in 1974 Air North became involved in forming another aviation company when it came together with the Auckland charter operator Akarana Air to establish Norak Engineering at Ardmore to carry out maintenance on both company's twin engine aircraft. Disaster struck the company on the 23rd of March 1975. Ian Palmer was flying Grand Commander 680 ZK-DHF to Cincinnati for servicing. 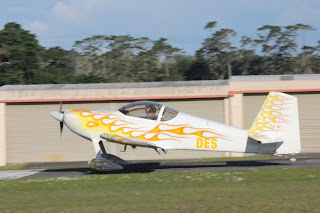 While on the leg to Hawaii a fuel flow problem with the ferry kit forced the aircraft down in the sea short of Hawaii. After making a successful escape from the sinking aircraft, Ian Palmer spent about half an hour in the open sea before being rescued by the US Coast Guard. The airline’s early years from its passing from Geyserland Airways to the mid-70s were good years for Air North with passenger numbers improving each year. 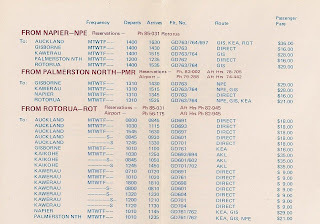 So, in 1975 Air North sought to extend its route structure by adding a Gisborne-Napier- Palmerston North service and a Palmerston North-Taupo-Rotorua service with both routes operating with a minimum frequency of 6 return flights each week. 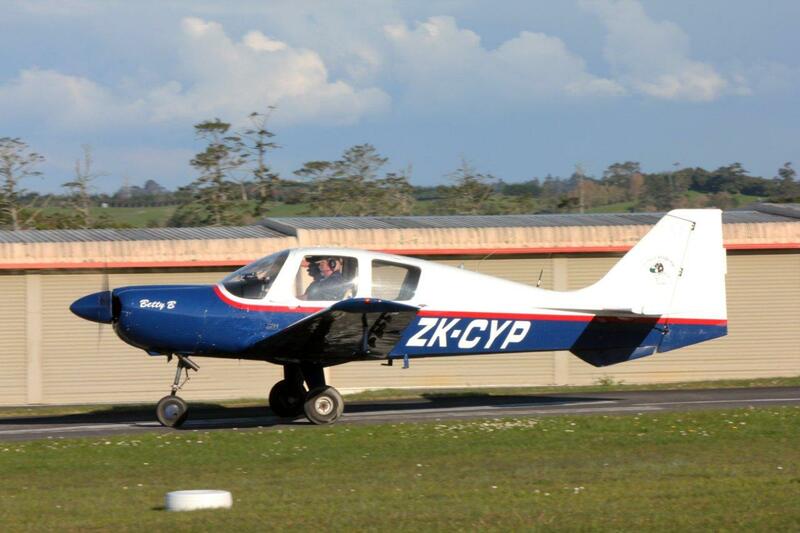 The company planned for the aircraft to leave Rotorua for Gisborne at 8.00 am before flying down the East Coast to Palmerston North and then up the centre of the North Island back to Rotorua. 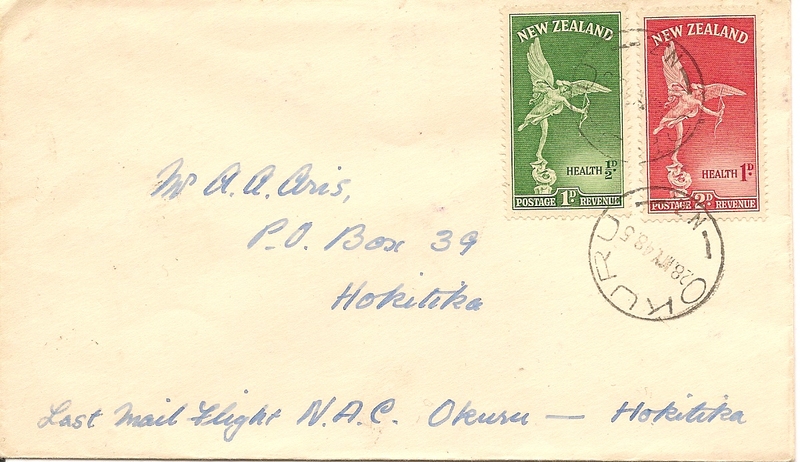 In the afternoon the reverse was flown with the aircraft arriving back in Rotorua at 5.45 pm. The company was also sought permission to add a de Havilland 114 Heron to its fleet. The Heron was chosen in an endeavour to reduce operating costs. 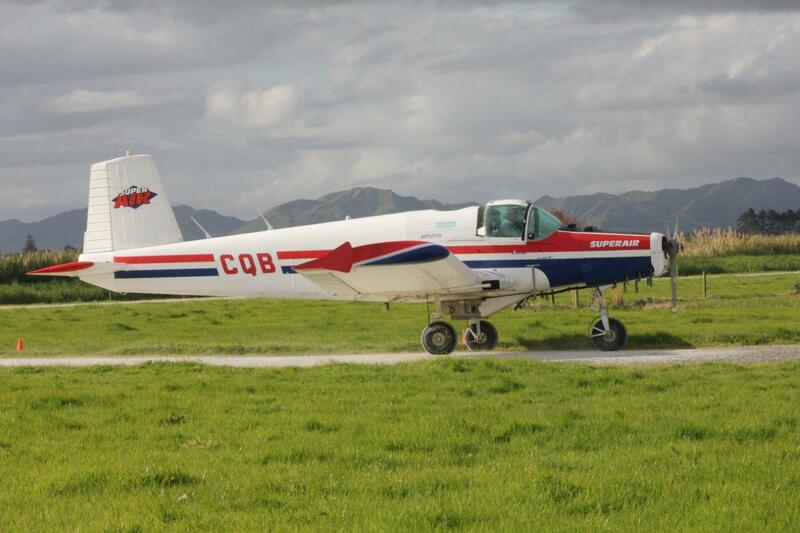 In its application the company stated it cost approximately $30 per hour to repair and maintain a Grand Commander with its geared or supercharged engines while the comparable cost for the Aero Commander 500, with its simple engine, was only $12.00 per hour. The four engined-Heron used a similar engine to the smaller Aero Commander and despite the fuel and maintenance costs of a four engined aircraft the company was confident that its higher passenger capacity would make it a more economical aircraft. 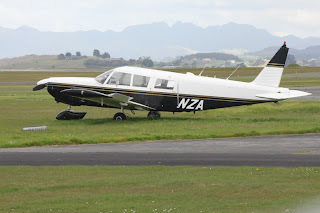 Pending the arrival of the Heron the Gisborne-Napier-Palmerston North-Taupo-Rotorua service began on 29th of September 1975 using Piper Pa23-250 Aztec ZK-DUB (c/n 27-3528), hired from Bell-Air. In November 1976 de Havilland DH114 Heron 1B ZK-BBM (c/n 14011) arrived from Fiji and entered service the following month, initially being used on the Rotorua-Auckland-Kaikohe service. The Rotorua-Auckland service was Air North’s most profitable service, with up to five flights a day flown on the route. Aero Commander 500 ZK-CWP at Palmerston North, the airline's southern most destination, on 30 January 1976. 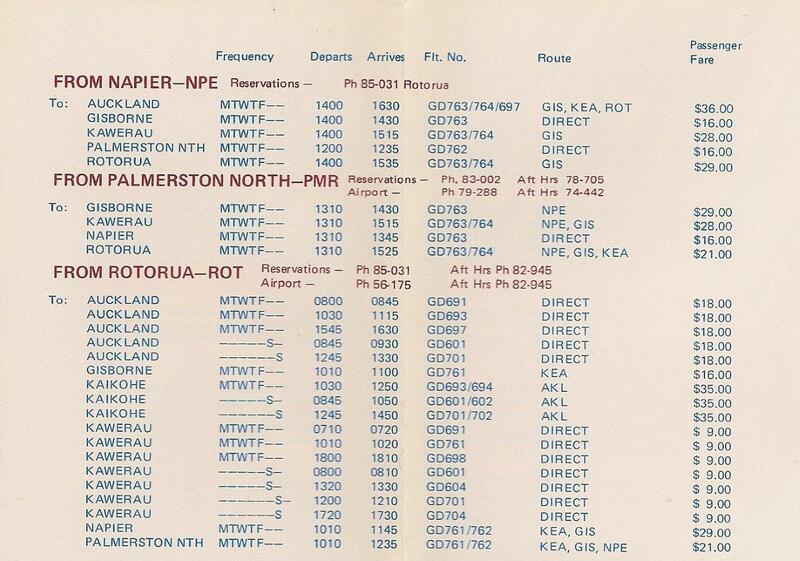 In May 1976 following NAC’s reintroduction of a direct Palmerston North-Rotorua service the Air North sought approval to suspend its Palmerston North-Taupo-Rotorua service. The frequency on the Rotorua-Kawerau-Gisborne and Gisborne-Napier-Palmerston North services was also reduced from six return flights per week to five return flights per week. An old NAC Heron returns - ZK-BBM in its new Air North colour scheme at Ardmore on 5 January 1976. Earlier in 1976 NAC had announced it was withdrawing from some of its uneconomic provincial services and Air North saw this as an opportunity to expand. 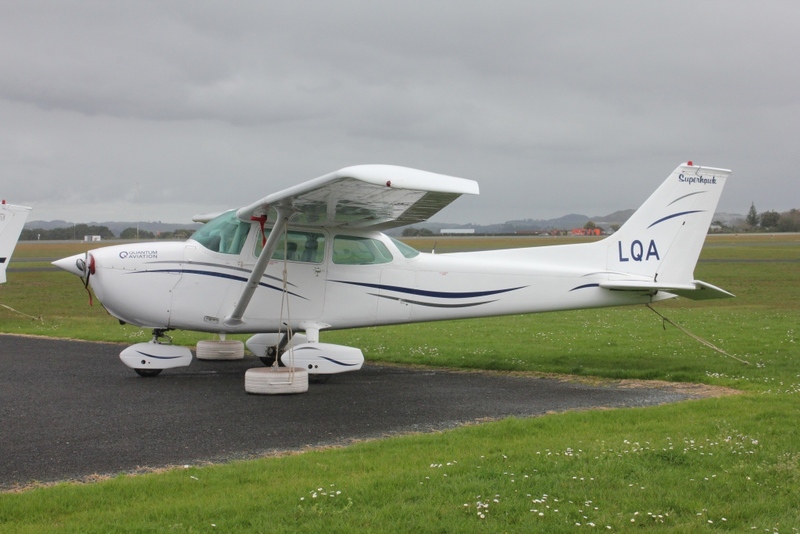 The company sought Air Services Licensing Authority to include Whakatane, Hamilton and Whangarei, when traffic was offering, as stopovers on its existing services and to also introduce a New Plymouth-Hamilton–Rotorua route. The latter would feed into the Rotorua-Gisborne service. In detailing its plans Air North proposed to commence and terminate its early morning Rotorua-Auckland and return evening service at Whakatane thereby retaining a same day return service to Whakatane people. 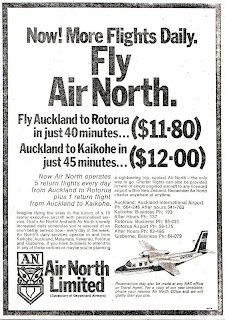 Air North’s proposal to replace NAC’s Hamilton-Gisborne service was for a New Plymouth-Hamilton-Rotorua-Whakatane-Gisborne-Napier service. The aircraft would leave New Plymouth at 8.20 a.m. to reach Napier by 11.50 am. The return service would leave Napier at 2.00 p.m. to arrive back at New Plymouth at 5.20 p.m. The Licensing Authority ruled that Air North's application for the sector New Plymouth to Hamilton provided no independent evidence as to demand and in the absence of such evidence that part of Air North's application was not granted. The application to include Tauranga and Whangarei as stopping places not granted. The rest of the application was granted and Whakatane was added as a stopover from 5 June 1976. 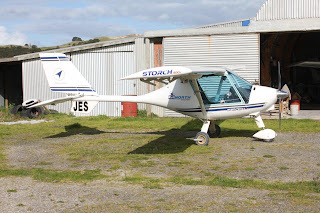 Sadly Whakatane did not meet the company’s expectations and the service from their averaged only one or two passengers per trip and the Heron Air North originally used was replaced by the Aero Commanders on the Whakatane-Rotorua sector, much to the chagrin of the Whakatane town authorities. Aero Commander 680 ZK-DBQ at Ardmore on 6 March 1976. There were also problems with the Hamilton-Rotorua-Gisborne service. 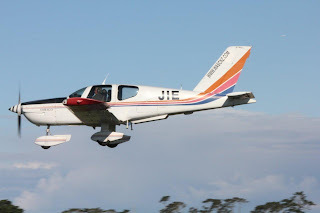 In October 1976, Air Gisborne Limited commenced operating direct air taxi services on a timetabled basis between Gisborne and Hamilton using aircraft leased from Air Central. 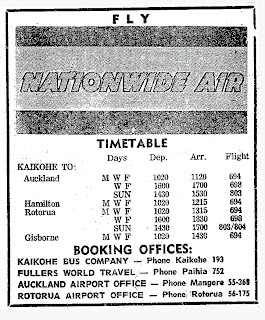 Air Gisborne offered two return services on week days and one return service on Saturdays and Sundays and Air North’s passenger numbers between Hamilton and Gisborne immediately experienced a sharp downturn, people preferring Air Gisborne’s direct flights at more suitable times. To counter this Air North was given approval to operate direct flights on the 8th of March 1977. Back on the 5th of July 1976 the Licensing Authority gave Air North approval to add a second Heron to its fleet and de Havilland DH114 Heron 1B ZK-EJM (c/n 14005) arrived in September 1976. In addition the Authority approved Tokoroa replacing Matamata as a stopping place, when traffic was offering, on Air North’s Rotorua-Auckland services. This gave Tokoroa connections to Auckland allowing a full day in Auckland, as well a service as to Kawerau, Whakatane, Gisborne, Napier and Palmerston North. The Tokoroa stopover was not a great success and on 15 November the schedule was changed with the only a 10.45am departure from Tokoroa. The second Heron, ZK-EJM at Ardmore on 26 December 1976. 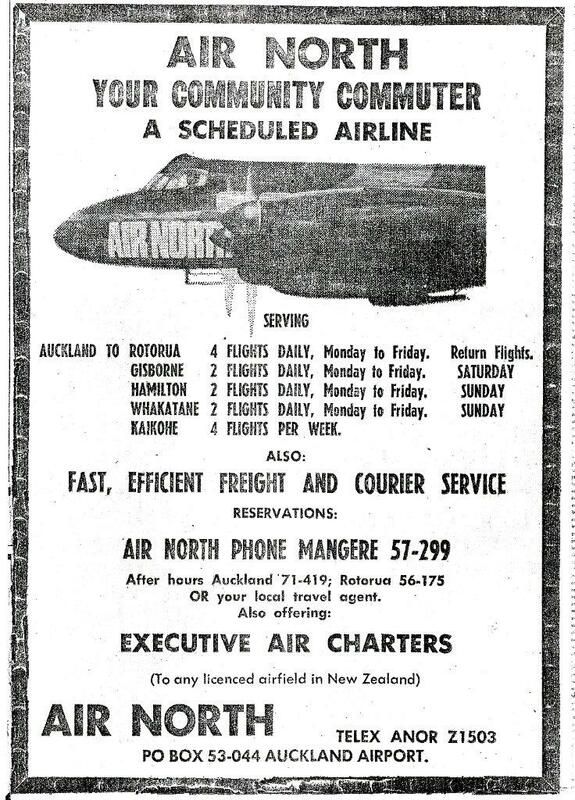 Meanwhile, in February 1977 Air South Pacific Limited moved to take over Air North. 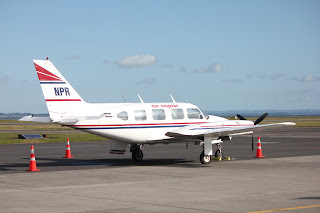 Air South Pacific had been formed on the 2nd of April 1974 for the purpose of applying for an air service licence to run an air safari around New Zealand using a Beech King Air. 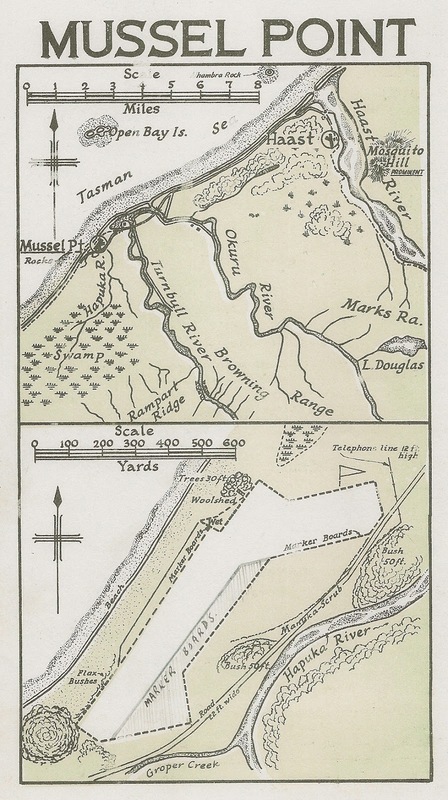 The company was owned by Christchurch lawyer, John Rutherford, and a Rotorua surgeon, Arthur Hackett. Ian Palmer, the then Managing Director of Air North, remained with the company as chief pilot. On 21 March 1977 the licence was transferred to Air South Pacific Limited. The takeover did not include all the Air North fleet. 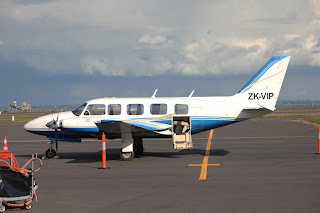 One of the Herons, ZK-BBM was transferred to the new company while Ian Palmer retained the other Heron, ZK-EJM, and the Aero Commander, ZK-CWP forming Rotorua Airlines (1977) Ltd to own these aircraft. Rotorua Airlines then leased these aircraft to the “new” Air North. The Grand Commander, ZK-DBQ, was sold to Akarana Air in May 1977. Air South Pacific changed its name to Air North Limited on the 2nd of June 1977 enabling the air service to be continued in its own name. Repainted as part of the sale to Air South Pacific, Heron ZK-BBM in its striking colour scheme at Rotorua on 8 August 1977. Disaster struck the company on the 9th of May 1977 when the second Heron, ZK-EJM, had a landing incident at Ardmore. 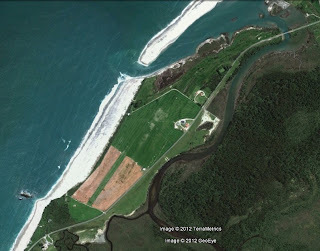 The aircraft touched down far down the runway and swerved to the right when the left brake failed. 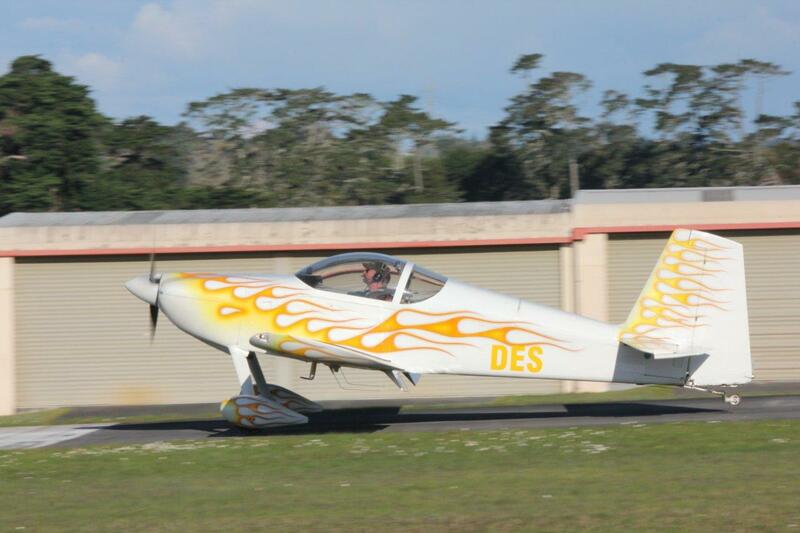 It crossed a drainage ditch and came to rest with serious damage to the nose gear, propellers and both wings. Although the intention was to repair the aircraft, it lay derelict and was later broken up. A replacement de Havilland DH114 Heron 1B, ZK-EKO (c/n 14044), subsequently arrived in New Zealand in June 1977. By mid-1977 the company was struggling. 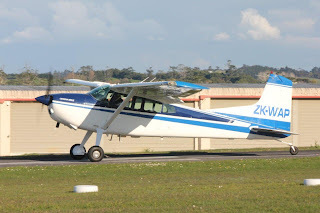 The Rotorua-Kawerau-Whakatane extension and Auckland-Kaikohe service were proving to be uneconomic and the company was keen to develop night courier and freight flights when its aircraft were otherwise not utilised. The Auckland-Kaikohe service experienced a drop in passenger loadings following Mount Cook Airlines’ introduction of its Hawker Siddeley 748s into Kerikeri in March 1977. 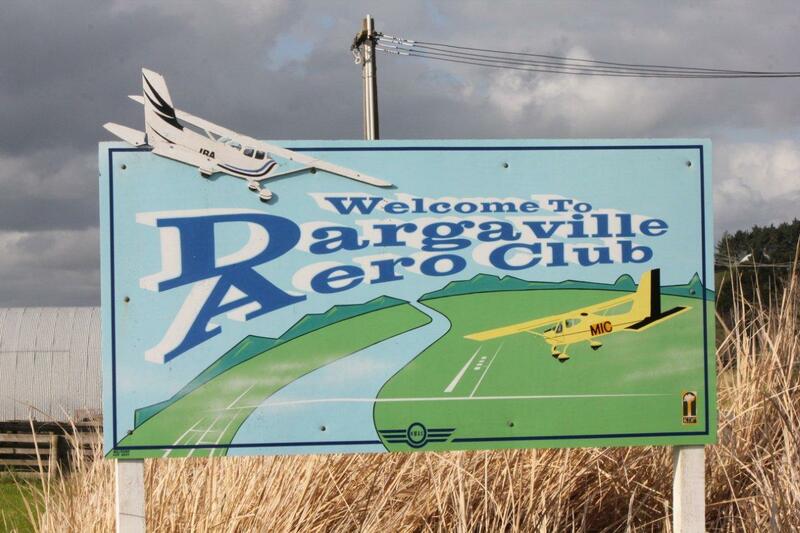 To make matters worse, with Kerikeri becoming a private airfield Air North were prevented from using it. This was especially problematic for the airline during winter when Kaikohe’s grass airfield was often unserviceable due to water on the aerodrome or soft ground conditions. 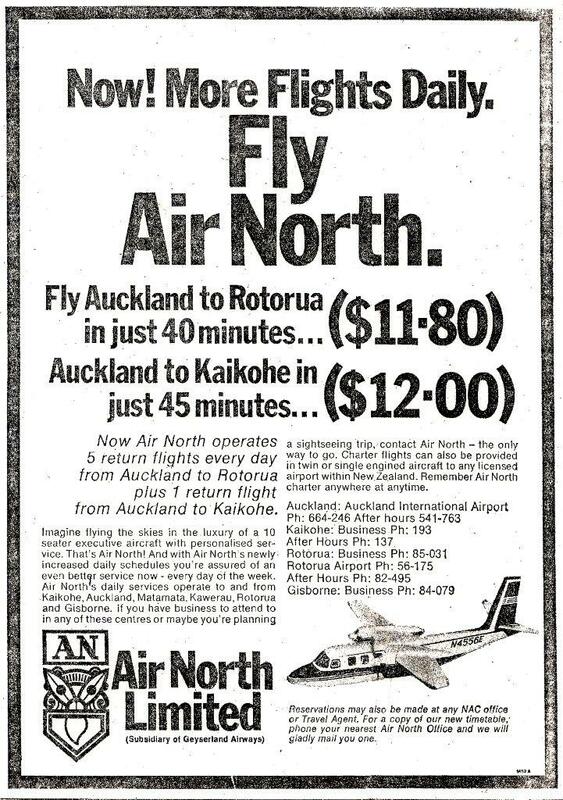 On these occasions the Air North service had to divert to Whangarei and the passengers were taken to and from Kaikohe by ground transport. Subsequently, the company applied to reduce the frequency to four flights a week and this came into effect in late August 1977. 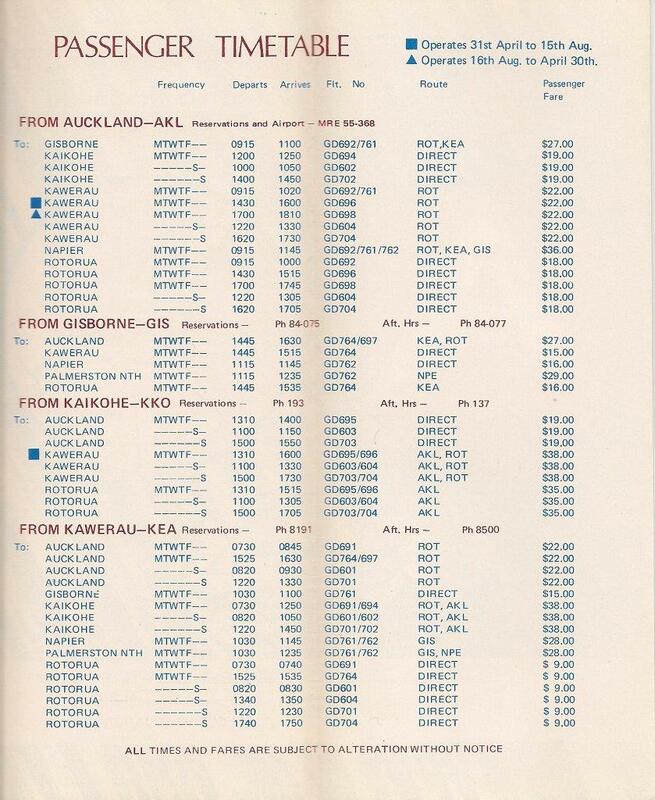 In late 1976 and early 1977 Kwikasair Limited had engaged Air North for a number of night freight flights between Christchurch and Auckland. 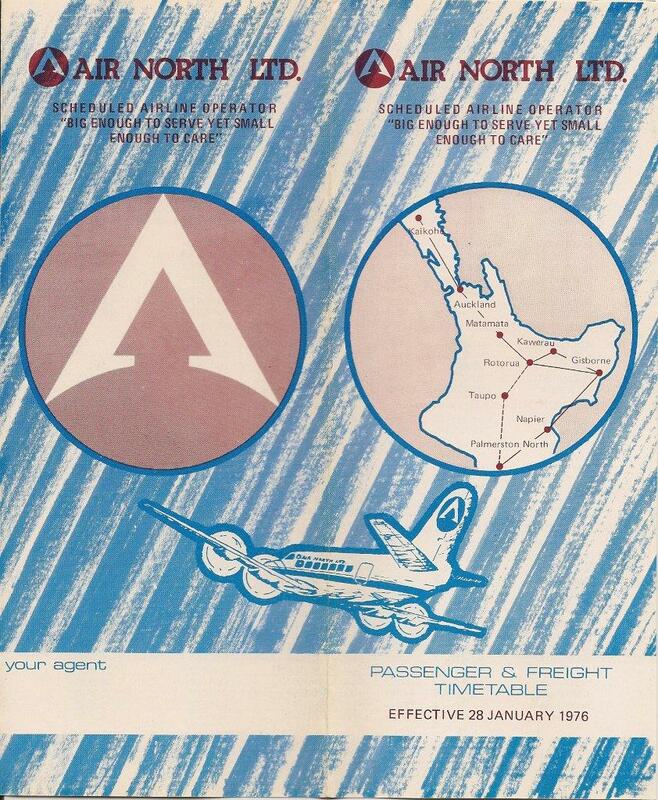 To offset its loss making passenger services Air North sought contracts with a number of freight and courier companies for night freight services from Auckland to Wellington and Christchurch. 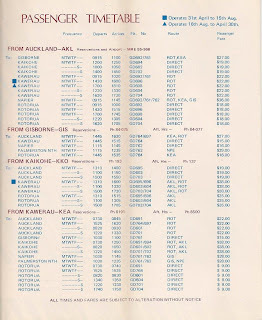 Before the hearing, however, Air North merged with Auckland charter company Akarana Air which already had an extensive night courier service. 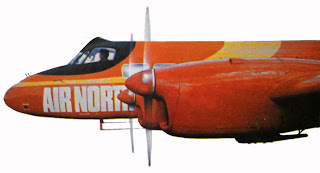 Air North advised the Licensing Authority that much of Akarana's business related to the flying of courier freight at night and their aircraft were not utilised to any great extent during the day and that these aircraft would provide excellent backup for Air North’s scheduled services. The proposed merger envisaged that the two trading companies would continue as totally owned subsidiaries of a holding company and the licences and the assets of the trading companies would remain. In other words, the management of the two companies would be joined in a holding company which would administer the two trading companies. The two companies then set about adding each other’s fleet to their own licence. The company’s woes continued. In August 1977 the company applied to sever both the Gisborne-Napier-Palmerston North service and the Gisborne-Hamilton route. The Company cited an average of only one passenger per trip on the Palmerston North service which was losing the Company at least $1,000 per week. The continuance of the Air Gisborne/Air Central air taxi service on the Gisborne-Hamilton route made Air North’s own direct service “completely uneconomic” with an average of only one passenger per flight. The Company was also finding its maintenance costs on the Heron aircraft were much higher than was hoped for, adding to the economic woes. 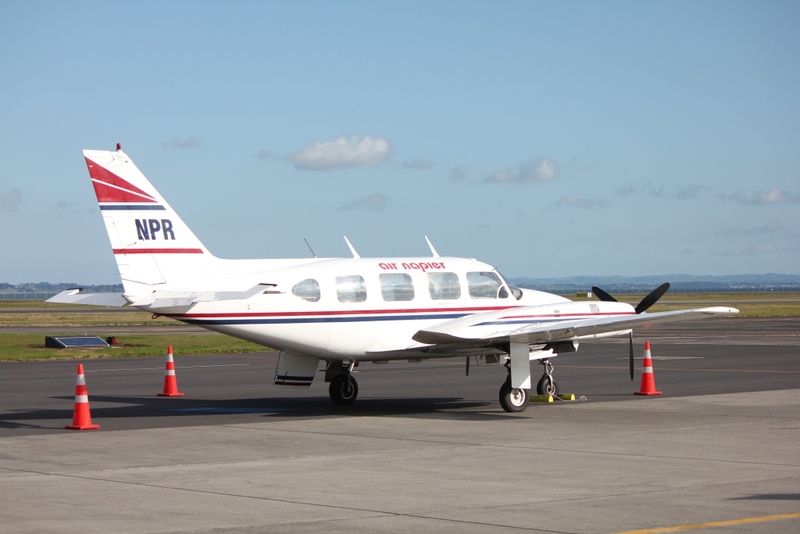 The Authority gave Air North approval to suspend its Palmerston North service from the 1st of September 1977 and Air Gisborne and Air Central were prevailed upon to cease joint air taxi operations between Napier and Hamilton. 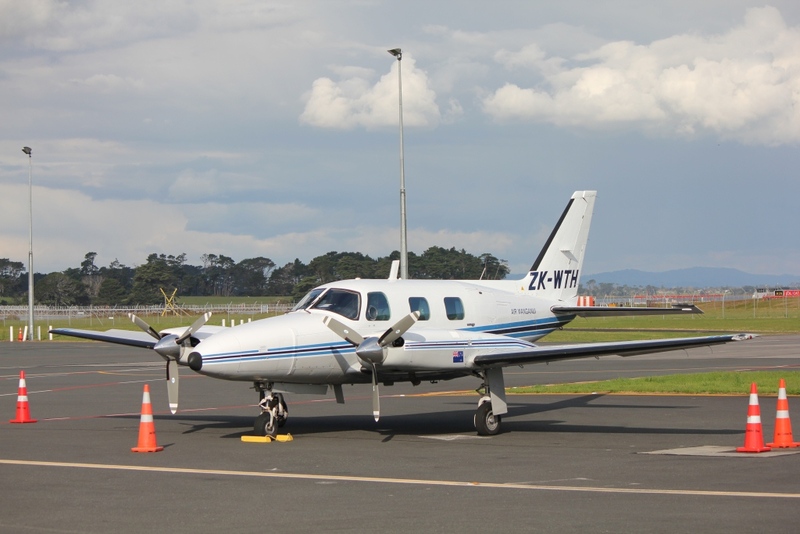 By late 1977 Air North was short of aircraft and from the 7th of December 1977, Air North entered into an agreement with Air Central to 'wet hire' one of their Cessna 402 aircraft to operate the daily return Gisborne-Hamilton service. 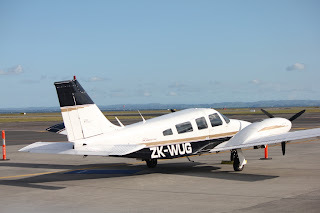 Previously, in September 1977, Haulaways Corporation Ltd. lodged an application with the Air Services Licensing Authority as trustees for a company to be formed for air charter and air taxi services from Paraparaumu, Christchurch, Nelson and Wellington using two Carvair aircraft. The hearing was subsequently adjourned so the applicant could ascertain whether the objectors to the proposal, including Safe Air and New Zealand Railways, could undertake the carriage of cars for the Haulaways Corporation. 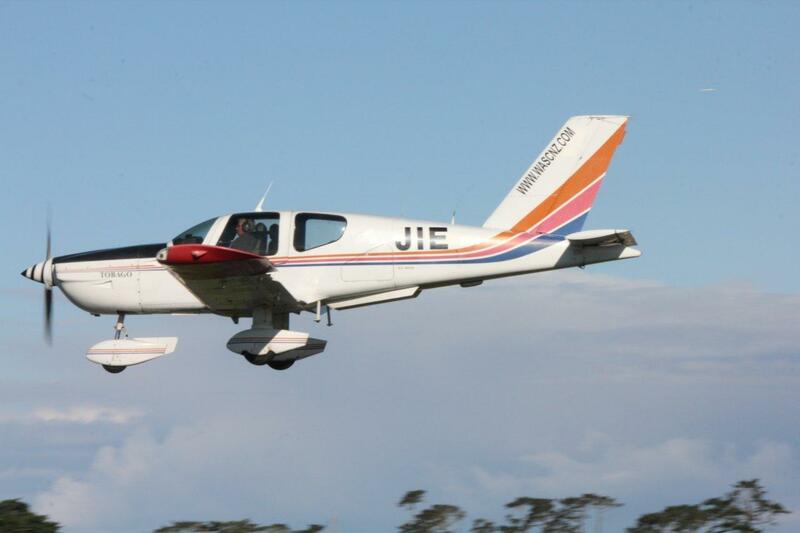 The application was withdrawn and when no objector was able to provide a satisfactory service Haulaways Corporation entered into negotiations with Air North and Akarana Air with a view to taking over the shareholding of both companies. 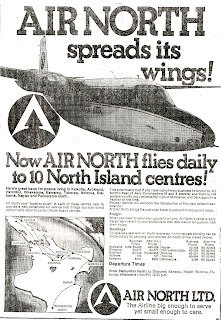 This happened in January 1978 and the replacement aircraft notified by Air North and Akarana Air were ordered and the company was committed to the contracts which were firm orders. The company was increasingly finding its financial state more difficult. 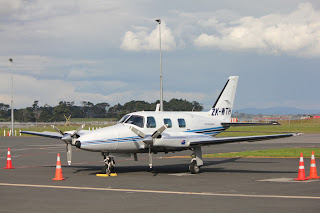 It failed to pay Air Central for the use of their Cessna 402 which operated the Gisborne-Hamilton route and so on the 13th of February 1978 Air Central applied to operate scheduled services from Gisborne to Hamilton. The application was opposed by Air North. At the hearing on 14 and 15 March a volume of complaints were heard as to the manner in which Air North has carried on its operations. Despite these difficulties the airline continued operating throughout 1978. On the 19th of June 1978 Air North changed its name to Nationwide Air Limited and this marks the beginning of the final chapter of the Air North story. Air Timaru - "The Friendly Line"